Imo, i would play, day and night, all maps with red-ish fog and sky, plus oblivion force in, (horror vibe to, a bit, hehehe, can't go wrong!) Well done! And i would like to see it, in mp and co op mods, one day! 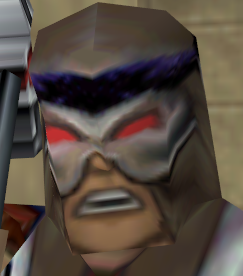 (still waiting updates for remaster, to make it near classic quality, for mp part) Have good work on your all T2 projects! How would I go about replacing the black fog in the death marshes with white fog? I never understood why there was so much black fog when it should have been white fog. Thanks for the warm welcome Vis! A horror vibe is absolutely what I'm going for with that map, largely in part to how much fun messing around with the lighting and fog can be. Right now I'm focused on balancing it for a single player experience which may be a bit tricky because the player can visit any of the maps as soon as you get to their warp point (which are all in the main town area), but I think that can managed by careful ammo placement. While I still intend to make 2-3 more maps for this set before I release it, I may upload an alpha build of the first 3 that've been shown already when they're done since they're getting close, rather than waiting to release anything until it's 100% done. To answer Victorious_Games, if you open up the maps for the Death Marshes, select a sector and then right click "Select-All" sectors, you should be able to change the fog for the entire map under Properties, and then "Fog Settings". "On Land" changes the color of the land-based fog, while "Under Water" changes it for when you're under water. ZFar and ZNear change the distance the fog sits at, with an option for the water variants listed under that. Black fog/Skybox appear as the default for new sectors, and I've yet to figure out a way to re-enable black fog after changing it past it's default, but what you're proposing should be easy enough to accomplish. The fact there's 11 maps to tweak for the Marshes will likely be more time consuming than the act of actually changing the fog color lol. Edit: I found the post by ilgm about holding Shift while moving the vertex to move the ceiling sector, and what do you know- it worked. Now the Hive Map pieces won't be broken by jumping through the ceiling constantly! That did the trick. Thanks man. Now I can bring back some of that foggy jungle goodness from Turok 1. It’s not necessarily a jungle, but it’s the closest thing Turok 2 has to one. Ill probably do the same for the non underground sections of the Lair of the Blind Ones maps too. Thanks again. Ok so I did the fog changing trick u told me to all the maps but there are still sections of the maps that are not registering the new fog colors. Is there any way to make sure that all of the sectors are actually selected and use the new fog settings? Or do I have to go through each map and check for spots that aren’t using the new fog color? The znear values are transferring to all the regions as they should but the colors are not. In the past while doing mass-sector changes I have had issues with not all of the sectors actually changing, but I find manually reapplying the desired color with all sectors selected again often (but not always) fixes it. As in, deselect everything with Escape, re Select-All sectors and manually re-change fog color. It may say it's already white fog, but that's only for the one you've selected, and that can often be misleading if you've selected a whole bunch of sectors. In my experience this usually fixes it, at least with custom maps. It's possible that the tool has some kind of limit when it 'select-all's the sectors so you may want to try 'Select-All'ing from a different sector, but that's totally a guess and is very likely just me not realizing I've already selected something thus throwing off everything. If that doesn't fix it, I'd suggest manually tracking down one or two of these wrong sectors and looking through all of the 'Fog Settings' for it, since it'll likely be resulting from there. While it doesn't necessarily sound like it, it could also be the result of having the sun and sky turned off in some areas, or something to do with lighting since there's a way to make negative lights that make areas darker. I'm not sure if that effects fog color, but I can see it being a remote possibility. Best of luck! Thanks man. I’ll try reselecting all in different sectors to see if that works. If not then I’ll go through the maps manually and find each sector that isn’t using the new fog color. I’ve already done it for 1 map. It won’t kill me to have to do it to the others. Thanks again. I have to ask, but do you still have this model? 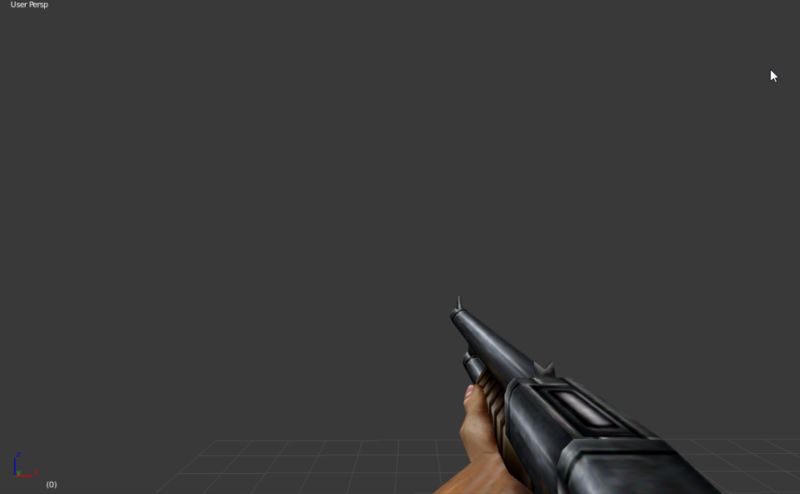 The Turok 2 shotgun always bothered me design wise and it would be nice to have a conventional alternative.